In partnership with like-minded organizations, we offer Member-only Scholarships throughout the year! In partnership with Niman Ranch, we are able to offer a Members-only Scholarship for chefs to participate in the Niman Ranch Hog Farmer Appreciation Weekend in September 2018. 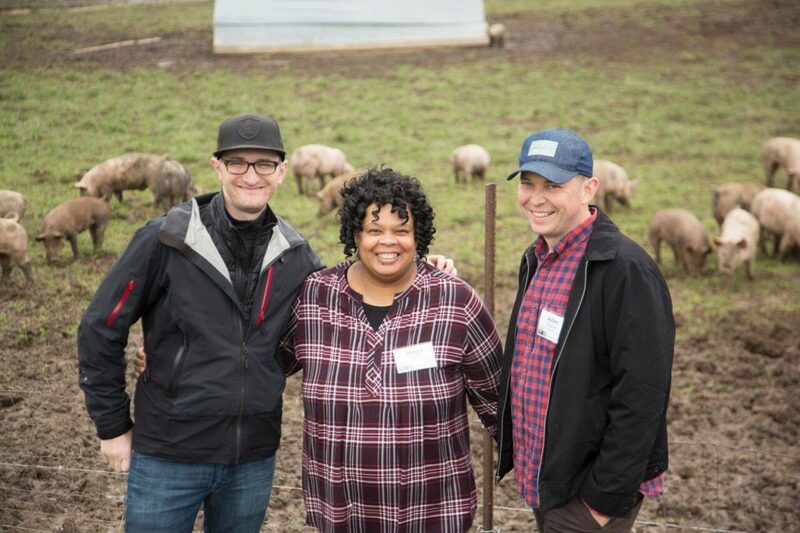 These three chefs traveled to Iowa in September 2018, toured A Frame Acres, learned about responsible animal husbandry, and participated in a special dinner celebrating Niman Ranch hog farmers. Thanks to the Julia Child Foundation for Gastronomy and the Culinary Arts, Atlanta Local chefs, Local groups across the country and the Chefs Collaborative Good Food Fund for making 25 Scholarships possible for 2017! Congratulations to our 2017 cohort! In partnership with Niman Ranch, we were able to offer a Members-only Scholarship for chefs to participate in the Niman Ranch Hog Farmer Appreciation Weekend in August 2016. 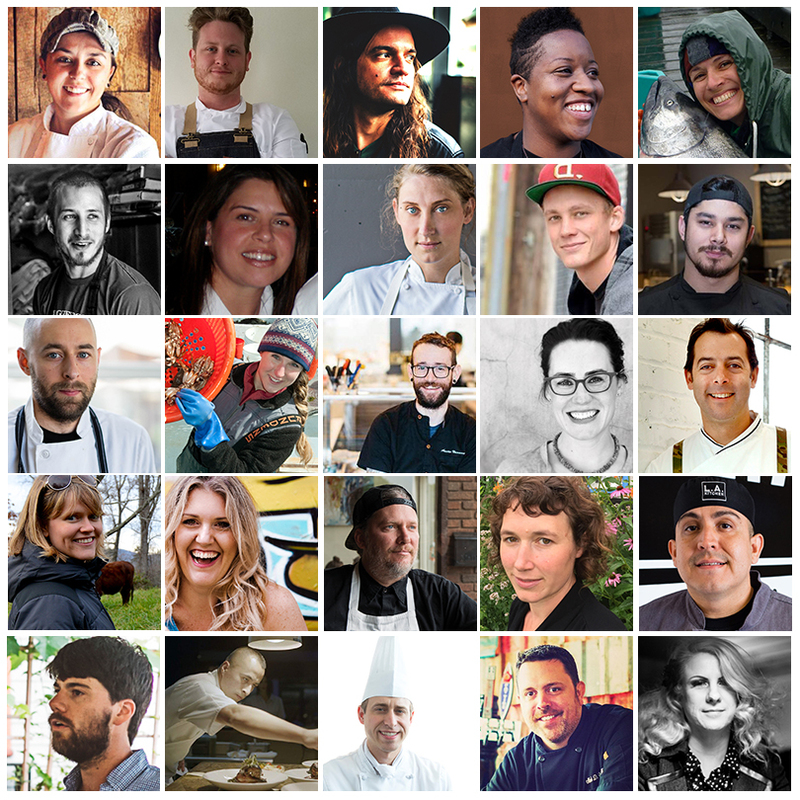 Congratulations to the 2016 Chefs Collaborative and Niman Ranch Scholars: Michelle Lainez (Border Grill, CA), Larry Leibowitz (Bambolina, MA; Chefs Collaborative Local Leader), Nathan Morgan (Pine Street Kitchen, OR), Kristian Niemi (Bourbon, SC; Chefs Collaborative Local Leader), Paul Reilly (beast + bottle, CO). These five chefs and our Executive Director Holly Haddad traveled to Iowa with Chefs Collaborative and Niman Ranch from August 25-27th, tour Alderland Farm, learned about responsible animal husbandry, and participated in a special dinner celebrating Niman Ranch hog farmers. More than 70 chefs and students applied for our 2016 Chefs Collaborative Summit Scholarship. The below Scholars traveled to New York City with us and participated in the 7th Annual Chefs Collaborative Summit April 10-12th, 2016. Congratulations! 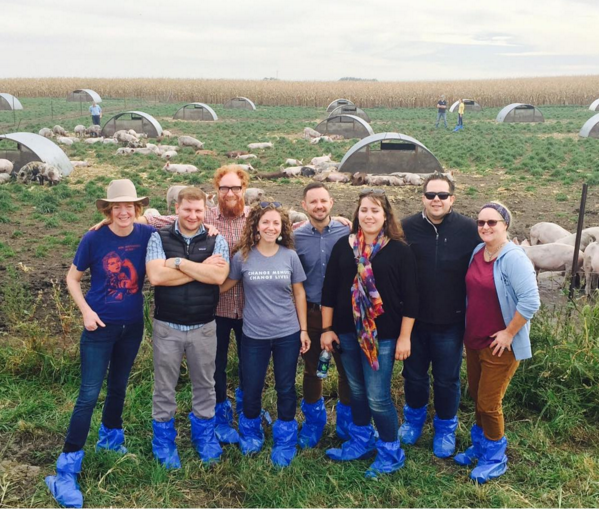 Six Member chefs traveled with us to Iowa at the end of September to tour Alderland Farm and participate in the 2015 Niman Ranch Hogfarmer Appreciation Weekend. Member chef Paul Reilly of beast + bottle in Denver, Colorado received the 2015 Chefs Collaborative and Natural Gourmet Institute Scholarship. He traveled with us to New York and participated in NGI’s Sustainable Meat Certificate Program. He spent 10 days with NGI in New York City, learned about sustainable meat fabrication techniques, and meet with chefs and food professionals from across the country.